. 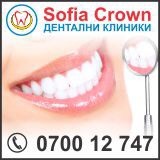 :Find a dentist in Sofia Varna Burgas Plovdiv Veliko Tarnovo! :.Registration form!
! Submitting registration, you have agreed that sended information is true !